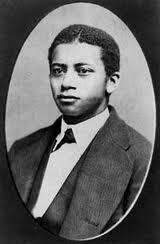 1846-1910 A dentist by trade, Dr. George F. Grant also distinguished himself as an educator, scholar, and inventor. Grant earned acclaim as both an innovator in dental practice and as a frequent and vocal commentator on the development of dentistry. Even at leisure, his active mind never stopped working overtime: he filed the first U.S. patent for a golf tee. Though both his parents had been slaves as children, George Franklin Grant was born into better circumstances on September 15, 1846, in Oswego, New York. After attending public schools, the 15-year-old Grant found a mentor in Dr. Albert Smith, a dentist with an Oswego practice. At first, Grant’s duties were confined to errands, but his keen interest led Smith to accept the young man as an apprentice and extend his duties into the laboratory. By age 21, Grant had gleaned a solid foundation in dentistry from Smith, but longed to study further and develop a practice of his own. In 1867, he moved to Boston and was accepted into the Harvard Dental School—the first university-based dental program in the nation—beginning the next year. Harvard’s diverse intellectual environment allowed Grant to pursue dentistry while also whetting his appetite for physics, a passion that would later serve him as an inventor and innovator. When he graduated with distinction in 1870, he became the second African American to earn a degree in dentistry; the first had been awarded just the year before, also at Harvard. Grant scored a first of his own when, following graduation, he accepted a position in the Harvard Dental School in the mechanical dentistry department. The appointment made him Harvard’s first African American faculty member. In the 19 years that followed, Grant remained on the faculty, serving for several years as a demonstrator of dental prosthetics and operative procedures. He then specialized in the instruction of how to treat cleft palates, a physical condition that leads to speech impairment. Such treatments became Grant’s greatest contribution to dentistry, as he developed nonsurgical corrections that proved effective, especially for treating children, which went against the grain of conventional practice at the time. His research culminated with the invention of the “oblate palate,” a device used to coax his clients’ palates into proper physical alignment. During his tenure at Harvard, Grant handled well over 100 congenital cases of cleft palate to great success, earning recognition as a pioneer with his unique therapies. Beyond his medical contributions, Grant was a devoted member of the Harvard community. He was a founding member and served as president of the Harvard Odontological Society. He also was elected president of the university’s Dental Alumni Association. Harvard president Charles W. Eliot is said to have been one of Grant’s patients. Though recognized as a particular specialist, Grant took his responsibilities to the whole of dentistry seriously, and is known to have written a number of papers and delivered several speeches across a range of professional topics throughout his career. An advocate of the idea that good dentistry could do more than address pain and immediate problems, he was sensitive to the social repercussions of how dental work made his patients look and even sound. In 1881, Grant attended the American Dental Association’s annual session in New York and delivered a paper detailing how dental prosthetics affect the tonal quality of speech. He proposed minimizing bulk in prosthetics to the end of preserving recognizable identity in the voices of dental patients. Grant lobbied for better filling materials and superior methods for crowning teeth, always emphasizing the esthetic alongside the practical. He was not shy of issuing criticism when he felt it was deserved. Urgently aware of the average person’s fear of dentistry, he was intrigued by the idea of hypnosis as a relaxant and even an anesthetic, but publicly skeptical of its potential. Grant lambasted a rigid dowel technique for installing crowns when his interest in physics convinced him a more flexible dowel material would prevent cracking. But Grant’s true passion for physics was most manifest at the Franklin Park golf course just outside Boston, the second public course in the United States. There, Grant could indulge his passion for the growing sport among the masses in a day and age when private clubs were still segregated by both class and race. The common practice of the day was to tee golf balls off a pinched mound of sand, a variable condition that Grant noted led to erratic play even among consistent golfers. Using a homemade golf course where he was free to experiment among friends, such as the noted abolitionist Alexander Grimke, Grant labored for months to invent a tee that was rooted in his thinking on dental technology. 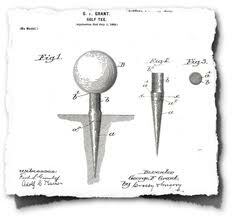 In December of 1899, he was issued U.S. patent number 638,920 for a tee that combined a short wooden spike with a flexible rubber peg for the golf ball to perch on. Although similar ideas had come to light in Europe, they had not come into wide use in the United States. Despite wide praise, Grant proved more inventor than entrepreneur, preferring to give his invention to friends rather than seek a market. Ten years after his patent was filed, another dentist, Dr. William Lowell, popularized a variation of Grant’s design, which became the tee in common use all around the world today. In 1910, at the age of 64, George Franklin Grant died of liver disease.